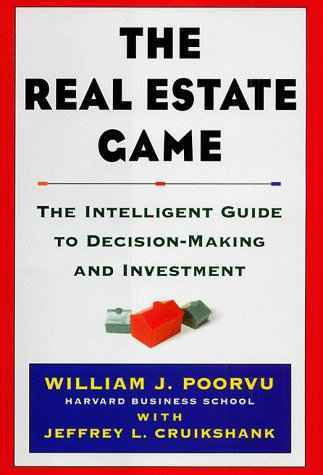 The book of the week was The Real Estate Game by William J Poorvu. The author is a proffesor of Real Estate at Harvard University. If anyone is familar with Harvard Case Studies and enjoys them, then you will really enjoy this book. The book was about 300 pages and it was a lot of real world example studies. I am not going to write another blog about basic applications of real estate investing and this book didn't have anymore to add then any of the other books I have read on the subject. I feel that reading real world stories is very handy because it helps the reader learn from other people's mistakes and even learn from their successes. Again, just because I am not a huge fan of this type of writing doesn't mean that you won't enjoy it because there is a lot of good information within these pages. It's just the presentation that doesn't mesh well with me. I am going to be doing something a little different with this blog in 2011... I have intentions to complete at least 4 things off my List of Things to do Before I Die, and each time I do, I will not review a book that week, but tell you about my experience. Get pumped for some cool stuff... Now to figure out which things I want to do first. I only got a few hours of sleep last night because it was New Year's so I am extemely tired, so excuse the errors (grammar, train of thought, absence of substance, etc.) As always, if you have any questions on the book don't hesitate to ask. I would be more than happy to help anyone that wants it. That book looks good. I should probably try reading it sometime. It might help me deal with real estate issues.